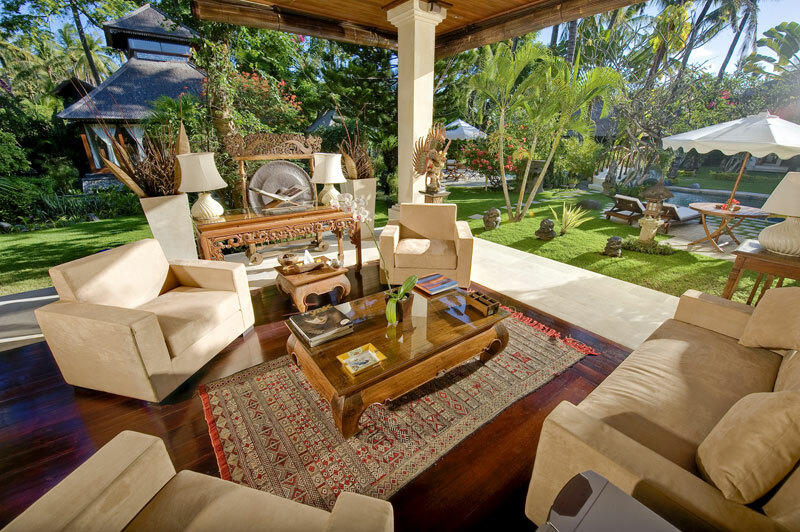 A villa in the "Heavenly Garden"
Villa Taman Sorga is very close to every important place in the area. 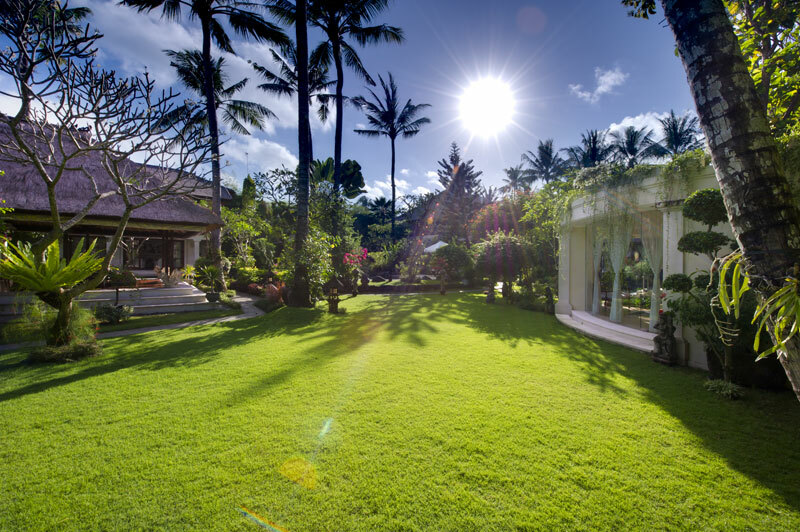 It is only a 25 minute drive from Bali International Airport, 40 minutes from the cultural town of Ubud, 20 minutes from the art market of Sukawati, and 25 minutes from fancy restaurants, shops and the lively nightlife of Kuta and Seminyak. 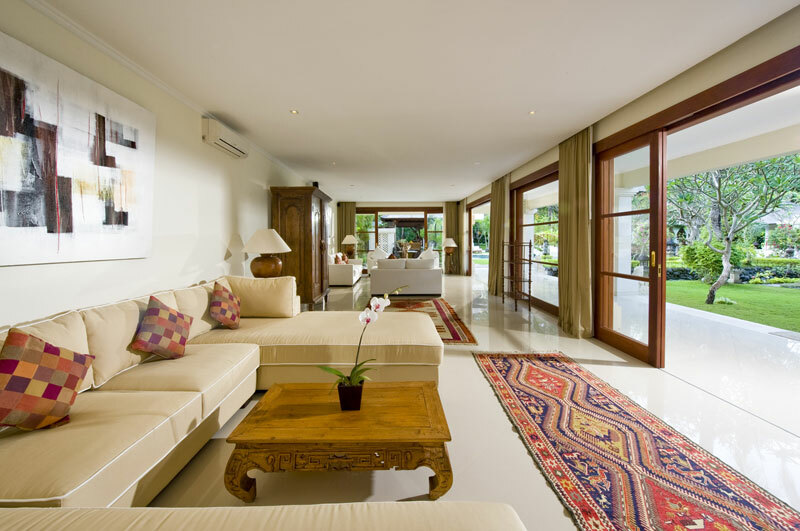 The recent construction of the Sanur-Kusumba bypass enables the city of Sanur to be really close to most of Bali’s tourist attractions. 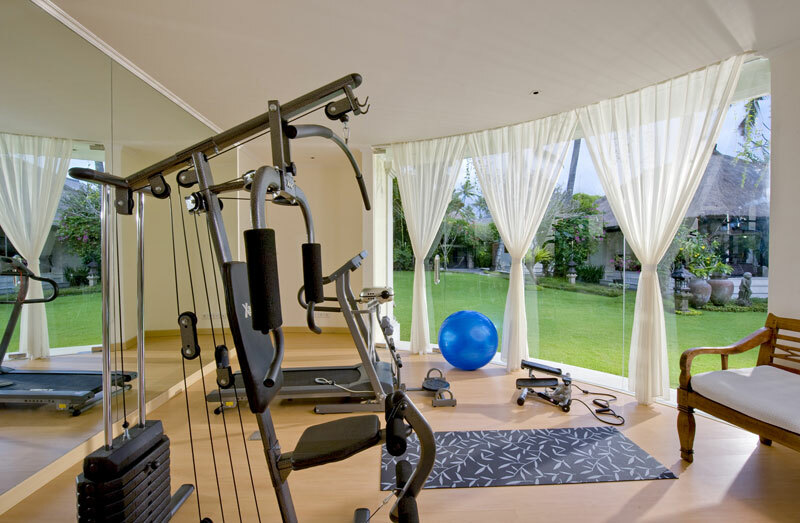 A car with or without driver will be available for you at an extra cost. 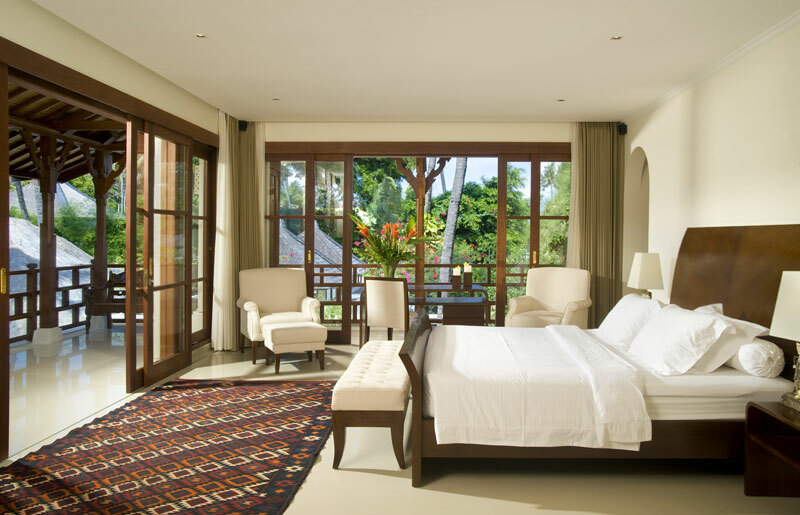 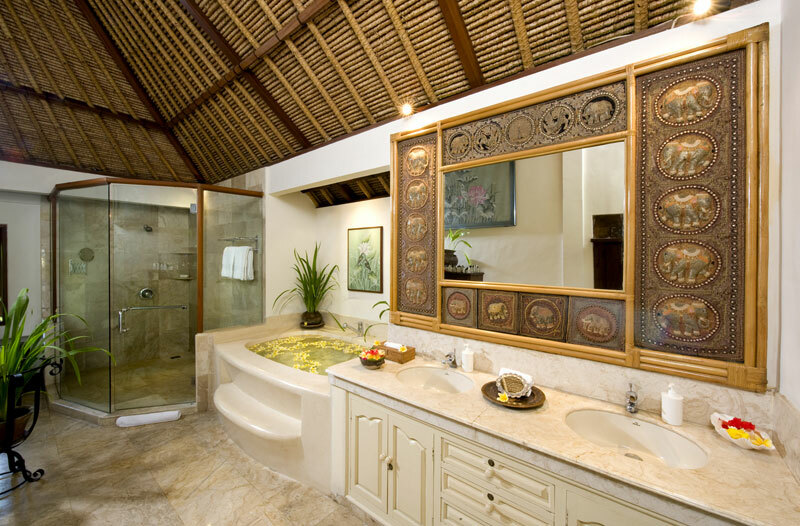 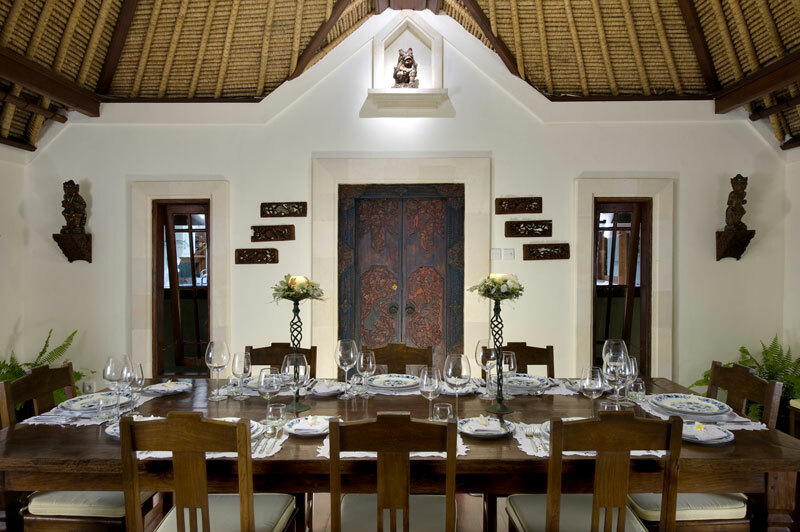 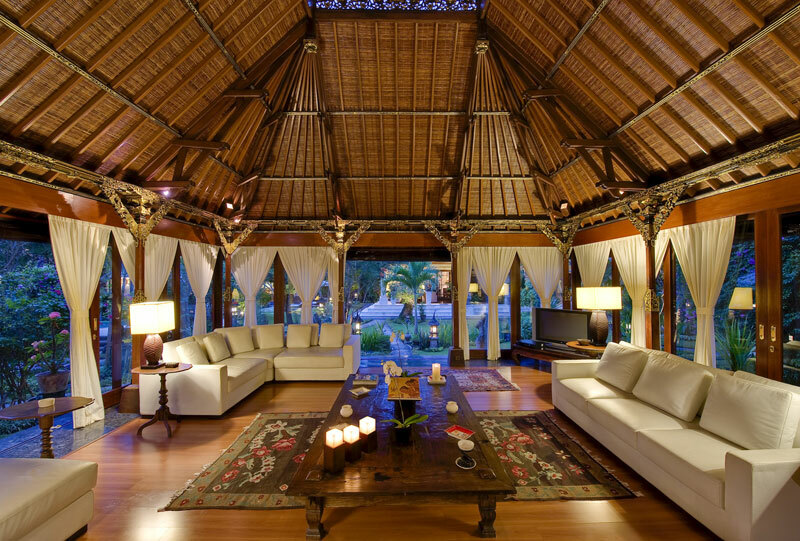 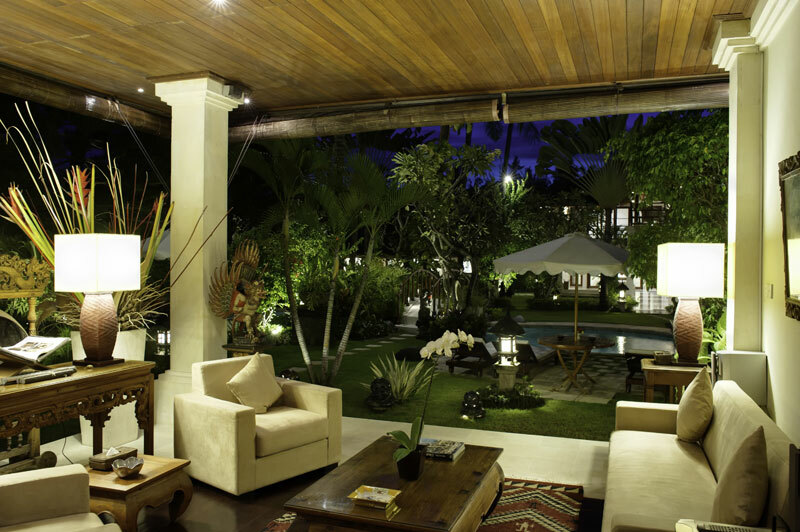 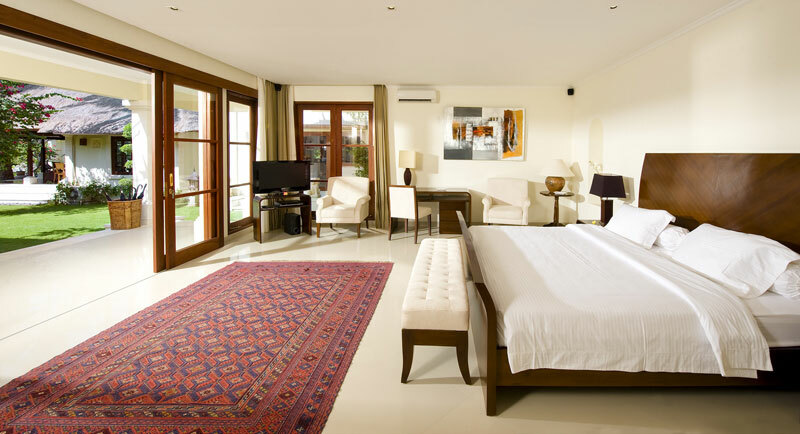 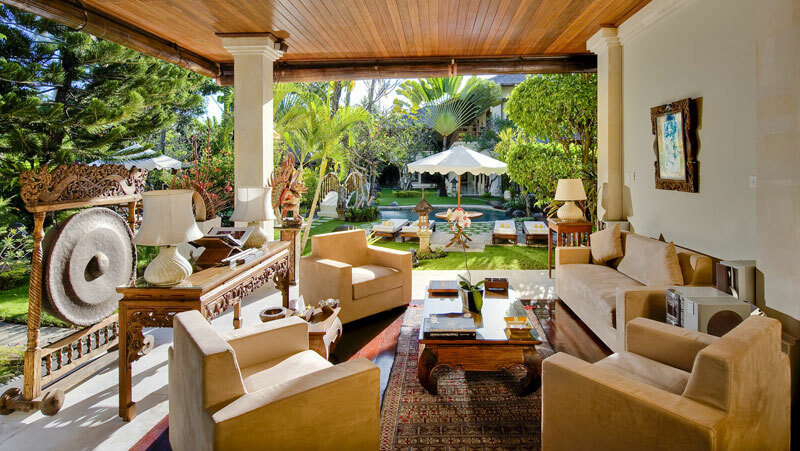 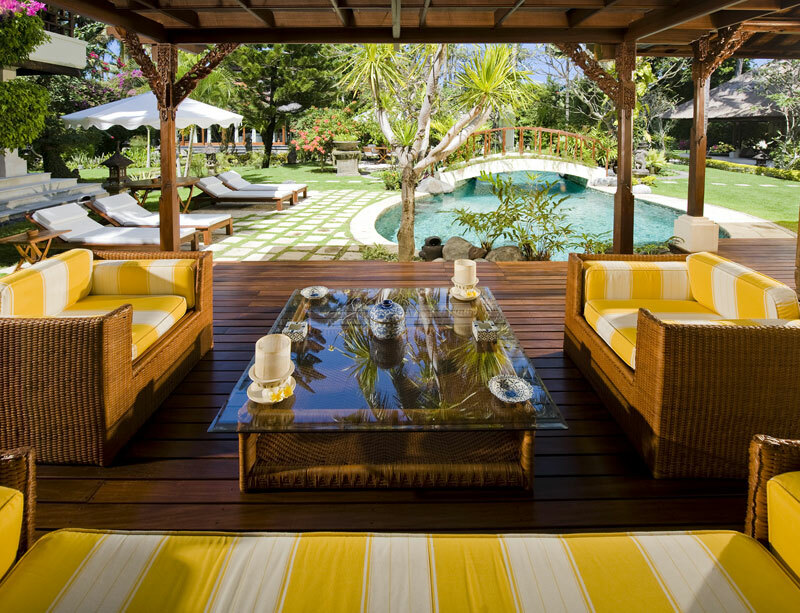 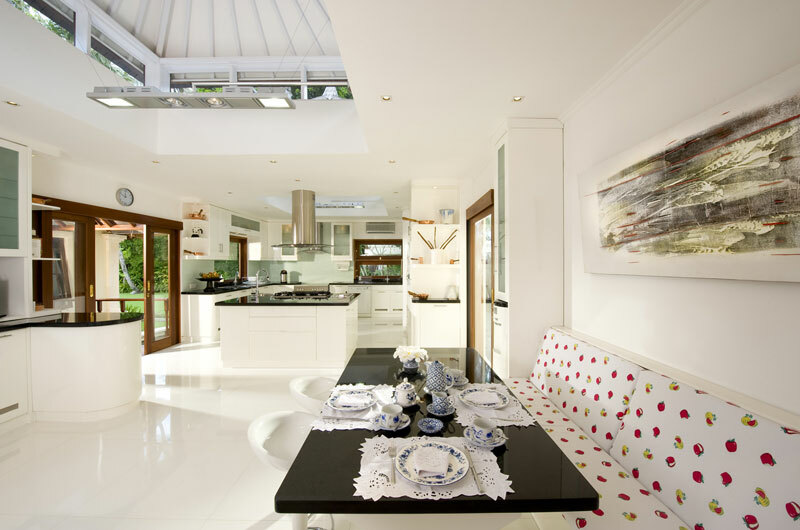 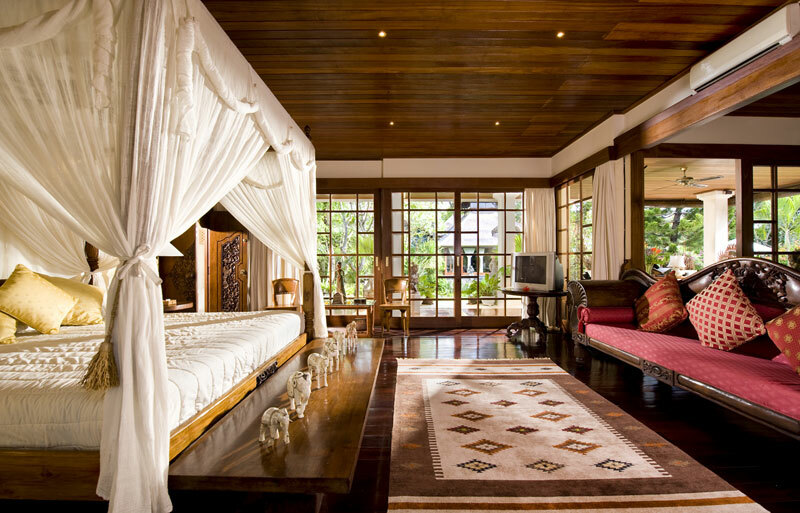 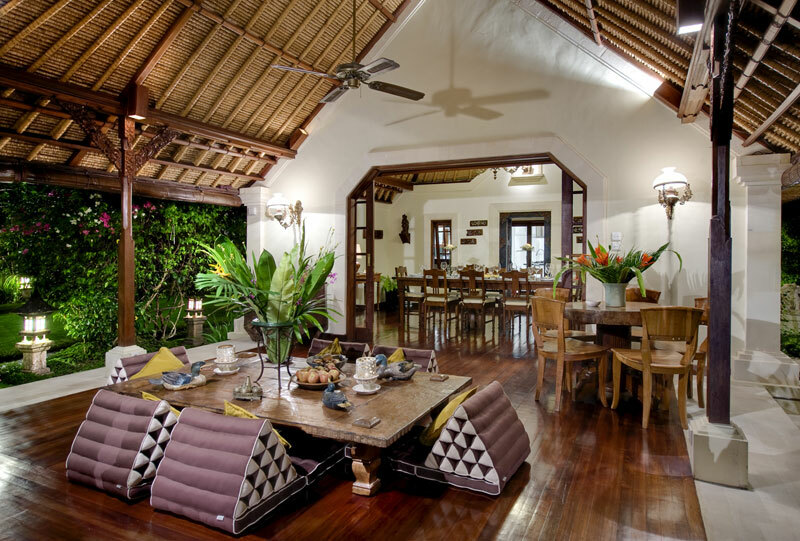 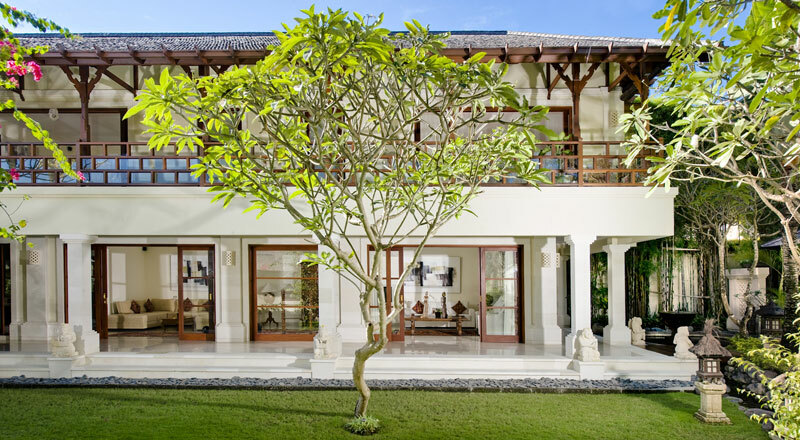 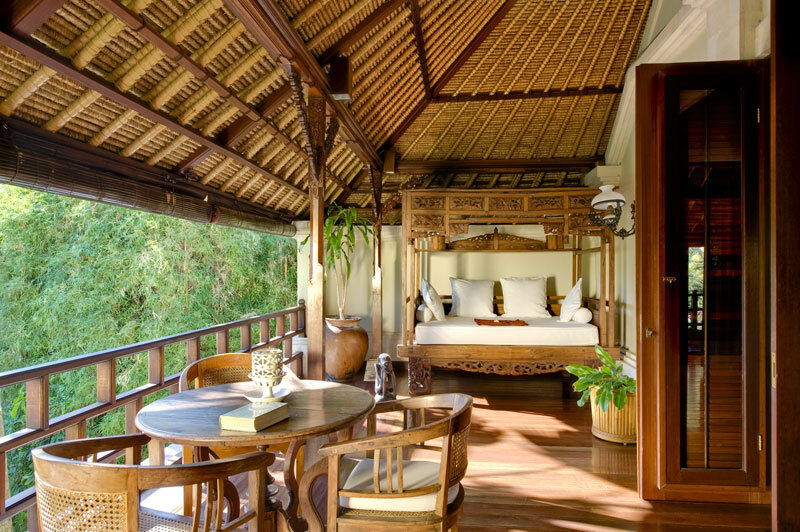 This two-storey villa has a contemporary style and is furnished with antique Indonesians pieces. 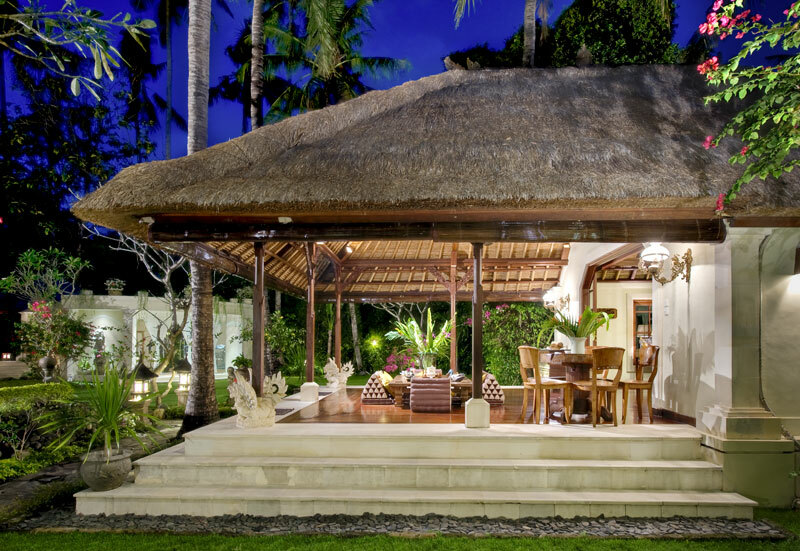 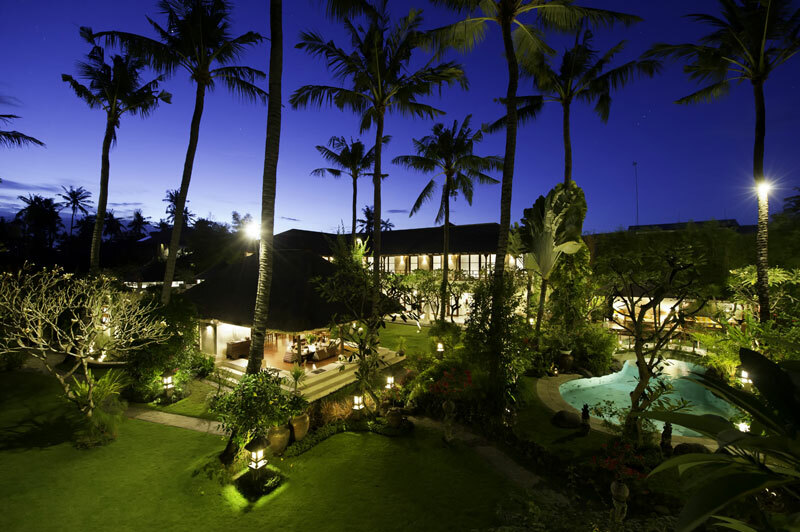 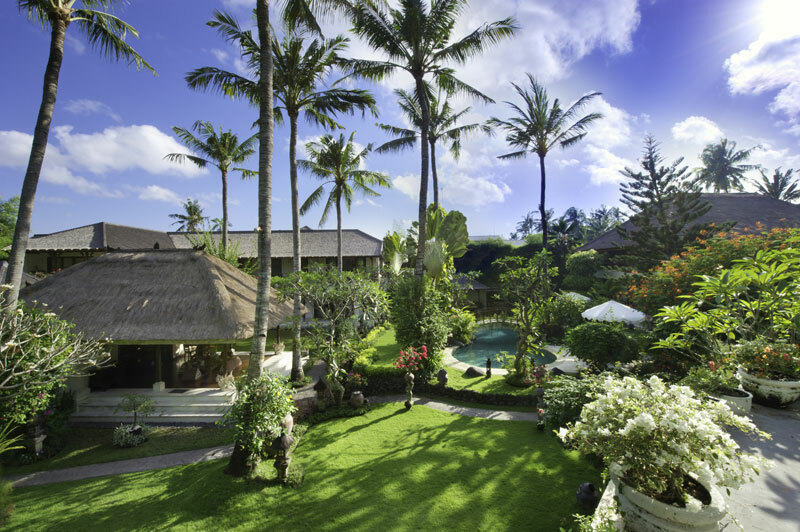 You'll find a traditional Balinese living room, a state-of-the-art gourmet kitchen, an indoor / outdoor dining room, a gym, a pool house, and a beautiful 17-meter swimming pool. 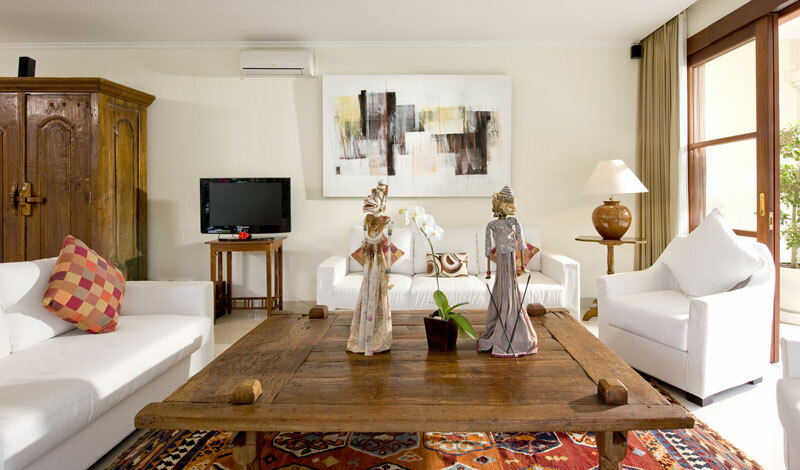 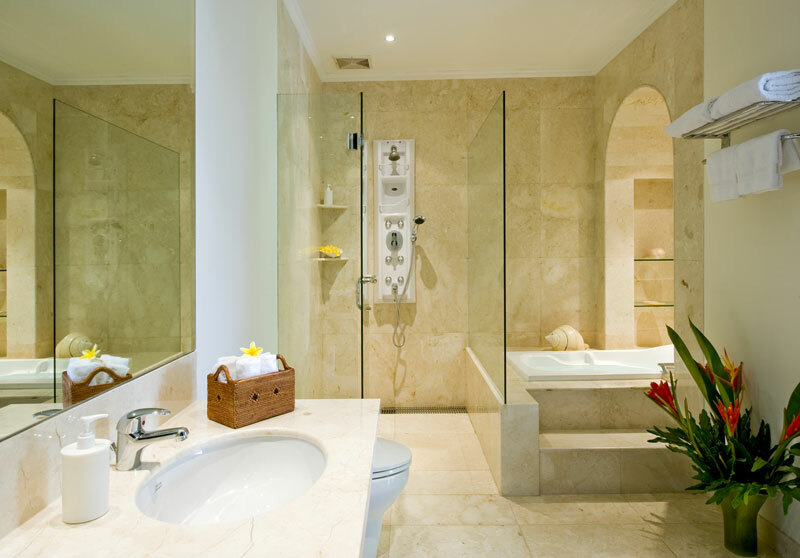 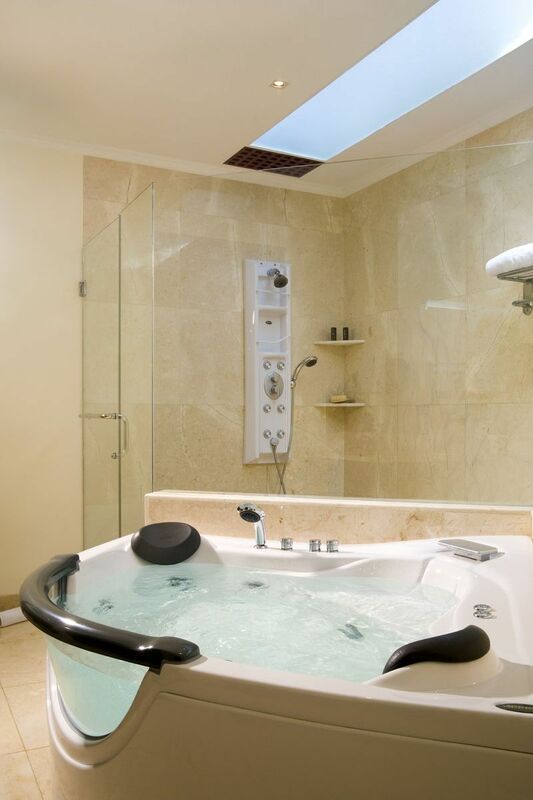 Each room features a TV, water is heated with solar energy, and the wifi access is unlimited.